The breeze juggles butterflies across the lawn. Bees try not to touch the glass…. and sprinkles them with salt and pepper too. As Sue watches the bees die…. laying in the bottom of that jar. when she took the jar of dead bees out of the coals. Burgers and potato salad and fun. who saw what Sue had done. I wouldn’t have caught them for her. Miss Senesh was a young Jew living in Palestine who joined a group of underground resistance fighters that parachuted into Nazi held territory to disrupt their efforts. She was caught and killed by German forces. I recently had the opportunity to tour the Holocaust Museum in Washington, D.C.. Whoever you are, where ever you are, what ever your beliefs or feelings about this, please, please, visit this museum. Twas happenstance that I should stumble upon the repository of Sir Edgar Allan Poe most recently. And dare I say that the Raven’s shadow appeared before me. The morning air seemed to stand still under sheets of silence. Little but the overnight dew remained within the earth’s slightly chilly breath and I wondered a moment if time itself had not become as still as I. The red brick steeple shot straight into a motionless sky, as though frozen within its blue swallow. And nary a blown leaf nor expedient beetle could be seen across the world’s velveteen scape. An eeriness fell upon me, as the quiet enveloped my very soul. 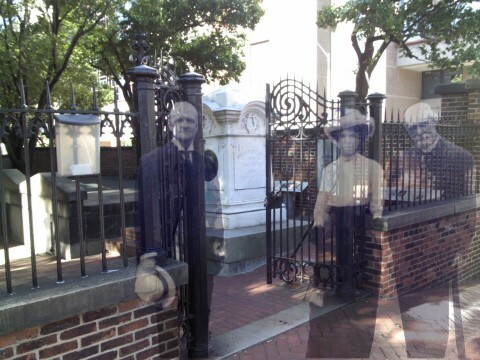 Or had something else surrounded me as I stood outside the gates of Poe’s repose? Perhaps I may never know, but I shall evermore suspect that Edgar himself was standing before me with another great tale for any passerby. And unfortunate me, with no ear to hear. I wonder what Mr. Edgar would have to say to this curious soul today? Is that the gentle tap, tapping of a visitor upon my threshold? Lenore, I should hope, but hope stays nevermore. But do stay, visitor, even if not to show yourself but the black of night. For in that night, that black spirit, are my tales, now gone evermore, and my withered soul longs only to let them live. Though I am long away from the gentleness of the sun you feel upon your skin or the anticipation of breeze that I shall keep myself during your stay, it is with the greatest honor I accept your bereavement, friend, for the lone purpose only to assuage your heart. For this little time, in this little place, my heart is yours. 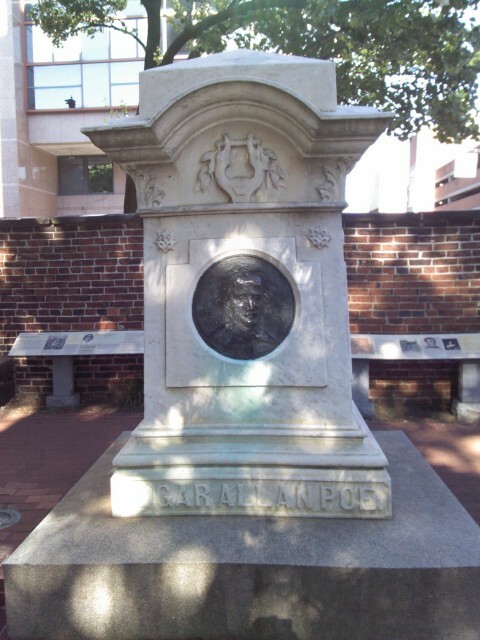 Recently I was blessed with the opportunity to visit the city of Baltimore, once temporary home – and now permanent home – to Mr. Edgar Allan Poe. My traveling companion, teenage daughter Chelsea, seemed to be engrossed in her deep sleep and dreams, as teenage girls tend to do, so I slipped away early this past Saturday morn to visit Mr. Poe’s Gravesight and memorial alone. So early was I that even the gates to the cemetery had not been unlocked yet, so I busied myself admiring the beautiful red-brick church built on premise in 1855, six years after Poe’s original burial there. The serenity of the morning was unlike any other I have ever known, and the quant nature of this church and cemetery grounds were just simply overwhelming. I rather enjoy “me-time” a great deal, though as a general rule mostly require someone to be attentive to my rantings and over-indulgent quips….. Until this day my favorite “me-time” had been as a boy, passing early Sunday morning papers in my hometown on cold, dark, snowy mornings. It was so serene. And the snow tends to muffle all sound. Have you ever been somewhere completely quiet? But now, after having visited Mr. Poe, I think this is my favorite me-time ever. I’m still amazed that at the end of May, even with all of the trees present, there was not a single bird chirping that morning. A wonderful place to visit and I hope you’ll have the opportunity to see this someday. It is well worth it…..
Ye who read are still among the living, but I who write shall have long since gone my way into the region of the shadows. distance keeps our lives at bay. How long can a memory last? How strong can a memory be? When your eyes were looking at me? A different world sings a different song. A different time and my life seems gone. “Time is wasting,” echoed my dreams. Eyes not aware of the lamp-blast glow. Now the lamp spewed a dead-fast blow! when Dad’s image emerged to me. for an all out fishing spree! and then across to our reward…. I heard the plop of his popper from high. went his slow, methodical reel. and then back to its reposing still. his pole quickly whipped to set the hook. was a largemouth’s angry and cold-eyed look. you see it wasn’t the fish or lilly pad. It was simply spending the day with Dad. and her all day cooking. 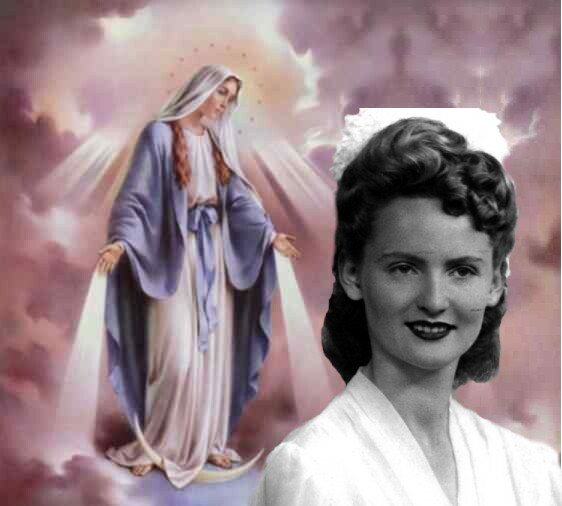 – Years have gone by and still I must proclaim there is no greater love than that of a young boy for his mother… My own mother instilled within me a certain sense of goodness, a love for all things of God. Sadly, as I’ve grown and entered the world I have found so many others in life who are obviously not blessed with such a wonderful intensity as what mom presented to me. In fact it seems the world is half filled with those who must have been reared in sheer hatefulness and resentment. How incredibly sad I find this world, and how sad I feel for those who must not know the glory of a sunshine memory of a day when skipping a crack on the sidewalk was the proudest way a little boy could show his love for mom. Childhood games and songs were so plentiful back then in the 60’s. London Bridge, A pocket full of posies, Merrily, Merrily down the stream…. I’m not sure if today’s children would play them lest they put down their texting machines or gameboys long enough. Nor if they would understand the meaning behind some of our childhood songs. One favorite game of the girls and sisters I grew up with was “Hopscotch”, where a series of one or two boxes were outlined for about ten feet along the walk. One would toss a pebble into the squares and then hop, skip, or jump to it according to the boxes. It’s been so long I don’t remember the end or how the game was won. But I remember all the players shouting loudly “Step on a crack – break your mamma’s back!” whenever someone’s foot would land on a crack in the sidewalk. To a boy of three or four that became gospel to me, and even today I still avoid cracks in the hopes that mamma will learn of my devotion to her…. 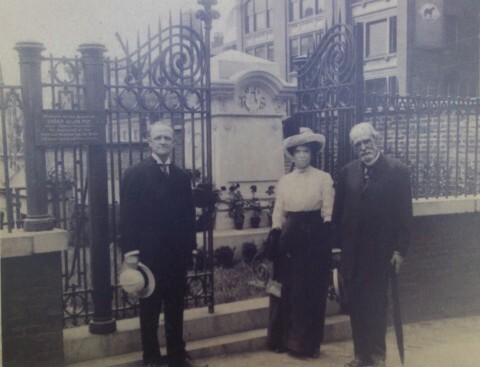 For it is certainly endless – as is my fondness of this little memory….. I hope you enjoyed it. these eyes of swollen tears? to hide my remaining years. to lash my escaping soul. my life in kind she stole. for the evil she spreads has homes. but others that throw her stones. This poem was meant to be a whimsical little piece on the nature of hussle-bussle and goal oriented world that the U.S. has been accused of being. From de Tocqueville to today we have famously earned the reputation of giving our children goals before they are even born. I think our contemporary time is worse than ever before. Complicate that with our hedonistic desires and staggering deficits and borrowing habits, we are passing a bill onto them that they will never be able to work off. I hope you will enjoy my little peom, though it is more of an auto-biography, I fear…. When shall I ponder thee, Life? this rudder found – at birth. and I haven’t a moment to give. I’ve barely a breath left to live. of your glory and blessed concern? to hear your story and learn? the hopes and dreams I’ve been taught to yearn? then what is our purpose here? and be robbed of your kindest amenities. I will hold your hand in mine. and somehow our stories will unwind….